The face of South African Friends of Wolves’ website has been afforded a new look, and the monthly free E-newsletter will now be posted as a Blog as of this issue. You can find all new and back issues in the Newsletter Archive, and from now on you can subscribe to the Blog posting if you prefer to receive your monthly newsletter from there. If you have already subscribed to SAFHOWL and want us to change your subscription to Blog, please send us an e-mail from the e-mail address you want the newsletter to be sent to and the words “change to Blog” in the subject line. Please go to www.safow.org and let us know what you think. Many Thanks to Shanu and Meyer for all their expertise and hard work to make SAFOW even more attractive to visitors and subscribers. Other than that, anti-nature crime and scandals keep on abounding in the US, with a prominent cable-TV station having apparently been tricked by wolf haters into screening the worst wolf “documentary” ever made. As I had expected and forecast when I heard about the program the day before, all social networks were abuzz with comments of disgust and fury the next day. Nice try, Idaho hillbillies, but it backfired badly. “Monster Week” would have been served better with portraits of the drivers of this senseless hate campaign! Read all about the latest developments in our International News section. This month’s wolf tale is likewise worth reading, as is a snippet on an ad-hoc wolf rescue operation in Alaska that unfolded very recently. Faithful Erin rounds off this issue, as usual. Till next month, and if you live in SA, try to stay warm! Drum Circle, Bands, Face Painting, Flea Market, Bonfires and, of course, Wolves and more. Please spread the word and support this event. Animal Planet has sadly joined the legions of wolf-haters waging war on our struggling wolves. As part of their “Monster Week” ratings grab, Animal Planet is airing a lurid, factually absurd, and shameful special called “Man-Eating Super Wolves.” The cable channel has scheduled multiple airings of the show. The show portrays wolves as bloodthirsty killing machines – exactly the sort of grossly inaccurate propaganda that led to the near-extinction of gray wolves in the Lower 48. This is pure tabloid sensationalism and just plain wrong. This show is already fanning the anti-wolf flames in Idaho and other states. This despicable distortion of reality could not come at a worse time for wolves. Wolf-haters have mounted extermination efforts in Idaho and elsewhere, threatening to reverse two decades of hard-won progress for one of America’s most beloved wild animals. TV channels like Animal Planet must accept responsibility for the real-world consequences of airing shoddy tabloid pseudo-documentaries. Thank you for taking action to help protect wolves! So please, take just a moment to share this news with your friends. Your petition, and the petitions of thousands like you, will help stop the spread of irrational hatred and fear of our beloved wolves. Thanks to the efforts of many, a revolting piece of anti-wolf propaganda is now off the air. More than 80,000 Defenders supporters flooded Animal Planet with letters of outrage at their airing of “Man- Eating Super Wolves.” Posing as a “documentary” the piece makes false and damaging claims about the dangers wolves pose to humans. This would not have happened without the incredible support of the Defenders community and others who took the time on a holiday weekend to protest the show. It’s official: OR-7, once Oregon and California’s loneliest wolf, is a proud papa! At least two pups have been observed in a den less than 50 miles from the California state line. Not only that, but we just learned that the California Fish and Game Commission voted courageously yesterday to list gray wolves under the state’s endangered species law. This decision will need to be ratified by a second Commission vote in August before it becomes final, but the far sighted step taken yesterday heralds the restoration of an iconic predator to California’s landscapes. It also will help provide a warmer welcome should OR-7 or his family wander south into California. As you may know, OR-7 has crossed into the Golden State and spent some time there a number of times in recent years, making him the first grey wolf in nearly 90 years to occupy some of Northern California’s prime wolf habitat. Could we be witnessing the rebirth of a California grey wolf population? That’s certainly our hope! 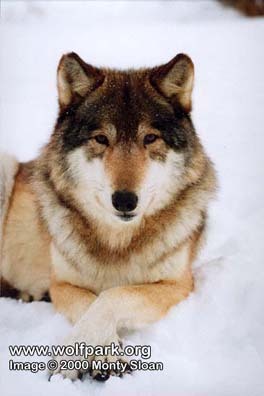 Thank you for all you have done for wolves and other endangered wildlife. This week, Defenders launched a massive outreach effort to inspire Idaho’s citizens to stand up to the anti-wolf propaganda and put a stop to the reckless slaughter of most of their remaining wolf population. But the ultimate success of our effort is up to you. Fanatical wolf haters are pursuing a radical agenda to kill as many wolves as possible. In less than five years, nearly 1,500 wolves in Idaho have been killed, many of them trapped, shot from helicopters or caught and strangled by neck snares. Entire packs have been gunned down – including helpless pups not old enough to even hunt on their own. But what biologists fear the most is that nearly 60 percent of the breeding pairs of wolves in the state have been methodically wiped out in only the last two years. This is setting up Idaho’s wolf population for a sharp decline in the months and years to come. I grew up in Idaho. I am proud to live and raise my family here. And I am certain that most Idahoans don’t agree with the current persecution of wolves using our own tax dollars to fund this needless slaughter. That’s why we’ve launched a massive public education effort to alert the people of Idaho to the wrongs taking place in their state and with their own tax dollars. We’re planning to air 250 pro-wolf radio spots across the state, and we’ll continue them as long as we can afford it. We are reaching out to Native American tribes, responsible outdoors groups, ranchers and other state leaders to join us to call for an end to the reckless wolf killing. Nearly 20 years ago, I had the privilege of helping release the first wolves back into the Idaho wild after many decades of absence. After being persecuted for centuries, wolves deserve a better future in this country — and in Idaho in particular. We need to raise at least $30,000 by Monday June 16th, to begin running a series of blockbuster ads in the Idaho Statesman, the state’s largest newspaper. It’s the next stage of our all-out campaign to alert the people of Idaho to the slaughter of wolves being carried out in their state. As you know, fanatical wolf haters are pursuing a radical agenda to kill as many wolves as possible. 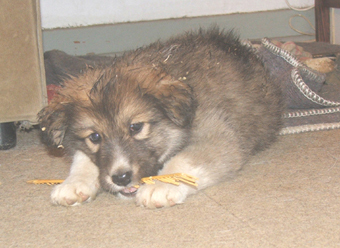 Entire packs have been targeted to be gunned down – including helpless pups not old enough to hunt on their own. The wolf haters’ agenda is clear – to wipe out nearly 80 percent of Idaho’s remaining wolves in the next five years. And they’re doing it with taxpayers’ money. We know that many Idahoans don’t share this view. Once they know the truth, they will demand an end to the state’s extermination tactics. And that’s why getting the word is out is so critical right now. As you read this, pro-wolf radio spots are airing across the state. Already, questions are being raised about the state’s radical war on wolves. But we can’t stop there. We will use every possible means to alert Idaho’s citizens to the crisis in their midst. OLYMPIA, Wash.— Eight conservation groups filed a petition (http://www.biologicaldiversity.org/campaigns/wolves_on_the_west_coast/pdfs/WA_Lethal_Control_Rule_Petition.pdf) late Friday requesting that the Washington Department of Fish and Wildlife enact rules that sharply limit the use of lethal control of wolves to respond to livestock depredations. Most prominently the petition asks the state to require livestock producers to exhaust nonlethal measures to prevent depredations before any lethal action can be taken. In 2012 the Department killed seven wolves in the Wedge Pack despite the fact that the livestock producer who had lost livestock had taken little action to protect his stock. The groups filed a similar petition last summer. They withdrew it based on a promise from the Department to negotiate rules — in an advisory committee established to help implement Washington’s Wolf Conservation and Management Plan — that would encourage the use of nonlethal measures by ranchers as well as produce standards for the Department to adhere to before itself resorting to lethal control of wolves. But livestock producer and sports-hunting groups on the committee refused to consider the petitioners’ proposals, and the Department has indicated it plans to move forward and introduce its own far-less-protective lethal wolf-control rule. 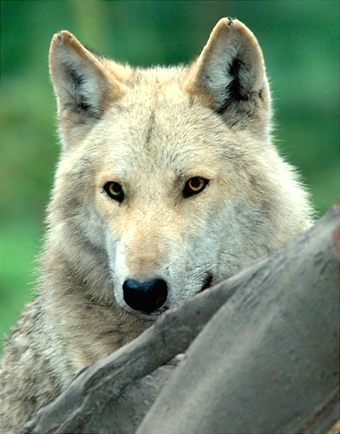 The groups also argue that rules are needed to ensure adherence to Washington’s wolf plan (http://wdfw.wa.gov/publications/00001/wdfw00001.pdf), which was crafted with input from a 17-member stakeholder group, more than 65,000 written comments from the public, and a peer review by 43 scientists and wolf managers. Despite the plan’s formal adoption by the Fish and Wildlife Commission in 2011 as official state policy, Department officials and the Commission have publicly stated they view the plan as merely advisory and key provisions of the plan were ignored when the Wedge Pack was killed. The Commission also adopted a rule last summer that allows wolves to be killed under circumstances the wolf plan does not permit, and the Department has proposed additional changes and definitions of terms to allow even more wolf killing. 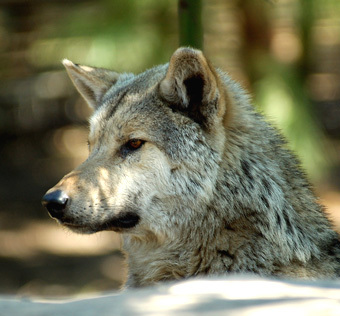 Wolves were driven to extinction in Washington in the early 1900s by a government-sponsored eradication program on behalf of the livestock industry. They began to return from neighbouring Idaho and British Columbia in the early 2000s, and their population has grown to 52 wolves today. Yet Washington’s wolves are far from recovered and face ongoing threats. Last fall a wolf in Pasayten was killed by a deer hunter, and in April of this year, a reward was offered by state officials and conservation groups for information leading to the arrest and prosecution of those responsible for the illegal shooting of a wolf found dead in February in Stevens County. The petition to increase protections for wolves was filed by groups representing tens of thousands of Washington residents, including the Center for Biological Diversity, Cascadia Wildlands, Western Environmental Law Center, Gifford Pinchot Task Force, The Lands Council, Wildlands Network, Kettle Range Conservation Group and the Washington State Chapter of the Sierra Club. Today’s filing of the petition with the Washington Department of Fish and Wildlife and Washington Fish and Wildlife Commission starts the clock ticking on a 60-day statutory period within which the state must respond. If the petition is denied, groups intend to appeal for a final decision by Governor Inslee. Two three-week old little wolf cub siblings have found a new home in the Wolfcenter at Dörverden. They are two so-called Hudson Bay wolves, which will soon look very similar to Arctic wolves. They are hand-raised by the Wolfcenter team, lead by Frank and Christina Fass, because their own mother cannot take care of them anymore. The whole litter was born in a wildlife park where wolves and bears live together in a joint enclosure. Usually, the resident she-wolf would dig a birthing den in a section that is inaccessible to the bears. But this year she had chosen a place outside the protected zone, so that the bears quickly became curious and started destroying the den by digging it up. The attendants at the park were successful in distracting the bears and luring them into a separated enclosure where food was waiting while rescuing the wolf cubs from their ruined den. However, there was no alternative den inside the bear-protected zone so that the cubs could not be released back into their mother’s care, which made it necessary for them to be raised by hand. And now two of them have arrived in the Wolfcenter, just a few days ago. Interested visitors can follow the upbringing of the two cubs, which have been named Dala and Kimo. 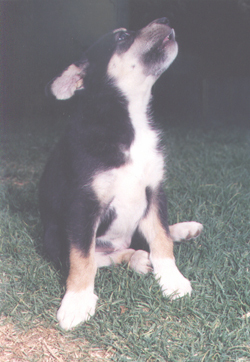 “Meanwhile Dala and Kimo got used to their milk bottle, they can see and hear, and their little lungs are already strong enough to produce howling noises. As fascinating as hand-raising wolf cubs may be, you must never forget that you are dealing with a predator, especially not when they will be fully grown at the age of two to three years. Like with other wild animal species that have been raised by hand, the adult wolf retains a potential of becoming a danger to humans, and that must be kept in mind,” said Frank Fass. From the 1 July 2014, Dala and Kimo can be visited in their enclosure. Interested people can contact info@wolfcenter.de. 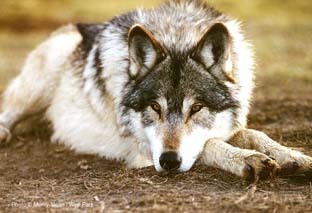 Further general information about Dala, Kimo and the Wolfcenter can be found at www.wolfcenter.de. 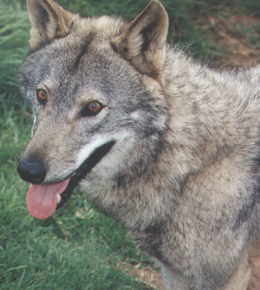 The following is a summary of Mexican Wolf Reintroduction Project (Project) activities in Arizona on the Apache-Sitgreaves National Forests (ASNF) and Fort Apache Indian Reservation (FAIR) and in New Mexico on the Apache National Forest (ANF) and Gila National Forest (GNF). Non-tribal lands involved in this Project are collectively known as the Blue Range Wolf Recovery Area (BRWRA). Additional Project information can be obtained by calling (928) 339-4329 or toll free at (888) 459-9653, or by visiting the Arizona Game and Fish Department website at http://www.azgfd.gov/wolf or by visiting the U.S. 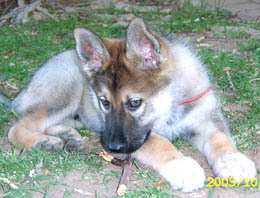 Fish and Wildlife Service website at http://www.fws.gov/southwest/es/mexicanwolf. Past updates may be viewed on either website, or interested parties may sign up to receive this update electronically by visiting http://www.azgfd.gov/signup. This update is a public document and information in it can be used for any purpose. The Reintroduction Project is a multi-agency cooperative effort among the Arizona Game and Fish Department (AGFD), USDA Forest Service (USFS), USDA-Animal and Plant Health Inspection Service, Wildlife Services (USDA-APHIS WS), U.S. Fish and Wildlife Service (USFWS) and the White Mountain Apache Tribe (WMAT). To view weekly wolf telemetry flight location information or the 3-month wolf distribution map, please visit http://www.azgfd.gov/wolf. On the home page, go to the “Wolf Location Information” heading on the right side of the page near the top and scroll to the specific location information you seek. At the end of April 2014, the collared population consisted of 52 wolves with functional radio collars dispersed among 16 packs and four single wolves. During April, the Bluestem Pack continued to use their traditional territory in the central portion of the ASNF. The IFT has documented denning behaviour in the Bluestem Pack starting in mid-April. In April, m1275 was located dead in Arizona. This mortality is under investigation. 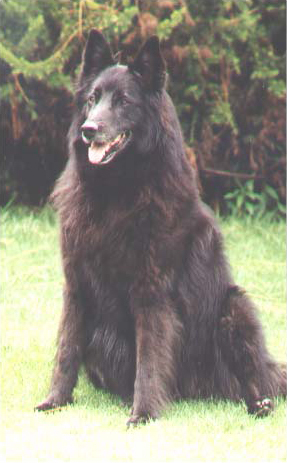 The IFT received genetic results and confirmed that AM1341 is the breeding male in the Bluestem Pack. On April 9, the IFT released the Coronado Pack on the ASNF. The Coronado Pack initially stayed together but was subsequently split up by the Maverick Pack on April 12. M1249 behaviour north and depredated a calf on April 18 and again on April 20. On April 18, M1249 was observed near some houses in Vernon, Arizona. The nuisance report was received by the IFT on April 23. M1249 behaviour south onto the FAIR and has been on the FAIR since April 21. F1126 has stayed south of Wildcat Crossing. 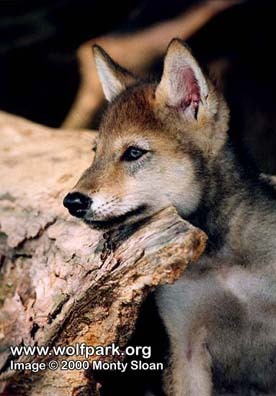 The IFT is monitoring F1126 to determine when the wolf will whelp its pups. The IFT does not believe M1249 will return to F1126. 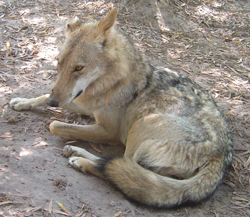 In mid-April, the IFT documented denning behaviour in this pack within their traditional territory in the northeast portion of the ASNF in Arizona. AM1287’s radiocollar hasfailed; however, the IFT has verified that the wolf is alive and with F1294. During April, the Hawks Nest Pack was located within their traditional territory in the north central portion of the ASNF. In mid-April, the IFT documented denning behaviour in the Hawks Nest Pack. On April 2, the Hoodoo Pack was released on the ASNF. The Pack travelled north and stayed in the area near Centerfire Creek. On April 5, the IFT located the Maverick Pack in the vicinity of the Hoodoo Pack. After April 5, the Hoodoo Pack was separated and located together only one other time which was on the telemetry flight on April 21. At the end of April, the Hoodoo Pack remains separated; M1290 travelled on to the FAIR and F1218 stayed near Wild Cat Crossing and the Rim in the ASNF. During April, the Maverick Pack was located within their traditional territory both on the FAIR and central portion of the ASNF. In mid-April, the IFT documented the Maverick Pack denning in the central portion of ASNF. 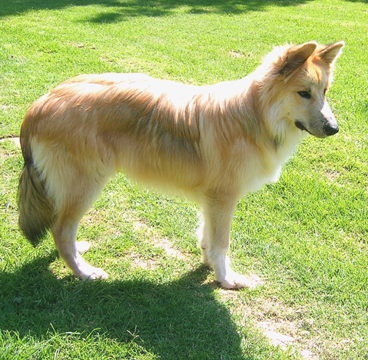 The IFT received genetic results and confirmed that AF1291 is the Maverick Pack’s breeding female. In April, the IFT documented denning behaviour in the Rim Pack. AM1107 and F1305 have denned in the south-central portion of the ASNF. The IFT has received genetic results back and confirmed that F1305 is the offspring of the Maverick Pack breeding pair; AM1183 and AF1291. Throughout April, the Tsay o Ah Pack was located on the FAIR. The IFT has documented denning behaviour in this pack. During April, the IFT located these wolves travelling together in the central portion of the GNF. The IFT monitored this pack to document denning behaviour; in late-April the IFT documented denning behaviour in this pack. Throughout April, the IFT located this pack within its traditional territory in the west-central portion of the GNF. The IFT is monitoring the Dark Canyon Pack to determine if they are denning; by the end of April no denning behaviour had been documented. 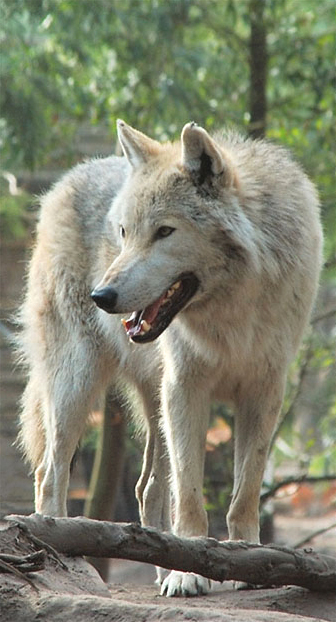 During April, the IFT documented these wolves travelling in the northwest portion of the GNF. M1276 has not been located during the month of April. Newly collared wolf m1345 has been located separate from the Fox MountainPack periodically throughout April. The IFT documented denning behaviour in the Fox Mountain pack in late April. In April, the IFT located the alpha pair in their traditional territory in the north-central portion of the GNF. The juvenile wolves in this pack, M1285 and M1286, have been located separate from the Luna Pack for three months and are now considered single wolves. M1284 has returned periodically to the Luna Pack and m1337 was typically located with the Luna Pack in April. 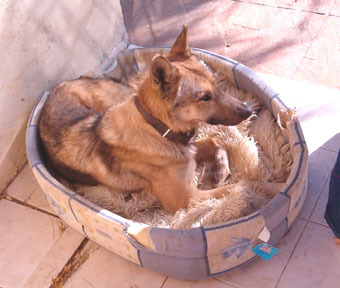 In late-April, the IFT documented denning behaviour in this pack. 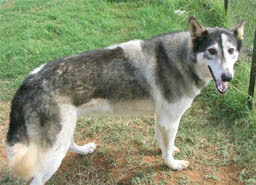 Throughout April, the IFT located this wolf in the north-central portion of the GNF. The IFT did not document denning behaviour in this pack during April. In April, the Mangas Pack utilized the area in the North-eastern Portion of the GNF. The IFT has not documented denning behaviour in this pack during April. In April, the IFT located AM1157 and AF903 in the pack’s traditional territory in the northern portion of the GNF. The IFT did not document denning behaviour in this pack during the month of April and is unlikely to den this year due to the advanced age of AF903. During April, the Willow Springs Pack used their traditional territory in the north central portion of the GNF. mp1329 has not been located for three months and is now considered fate-unknown. 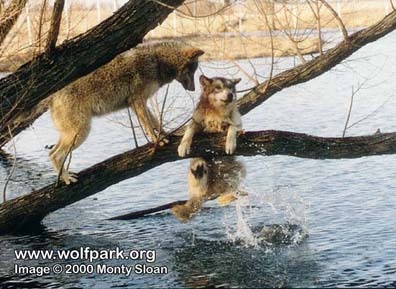 The IFT monitored the Willow Springs Pack throughout April, and documented denning behaviour in late-April. 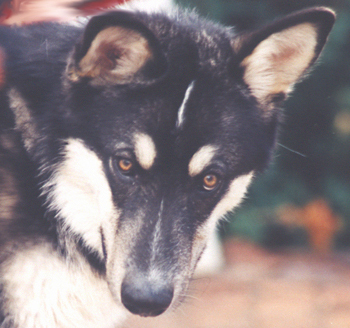 The IFT documented this wolf travelling through the central portion of the GNF. M1240 was located with f1278 during the month. The IFT is monitoring M1240 and f1278 to determine if f1278 will den; however, no denning behaviour wasobserved in April. The IFT documented f1278 travelling in the central portion of the GNF. The IFT has located f1278 with single male M1240 during the month. The IFT is monitoring f1278 and M1240 to determine if f1278 will den; however, no denning behaviour was observed in April. In April, M1285 was located during the weekly telemetry flight near Turkey feather Pass in the Gila Wilderness. M1285 has not been located at the end of the month likely due to wide dispersal movements. In April, M1286 continued to make wide dispersal movements in the GNF. In April, M1275 was found dead in Arizona. The incident is under investigation. During April, there were six livestock depredation reports and one nuisance report in the BRWRA. On April 23, the IFT received a report from a Vernon resident that a wolf was observed near a house on April 18. 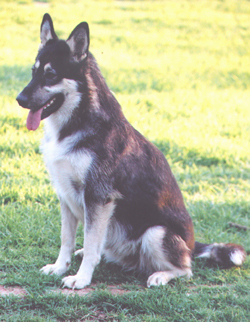 The IFT determined the wolf was M1249 from the Coronado Pack. After the incident M1249 was confirmed as depredating two calves outside of the BRWRA and then travelled south and has been located on the FAIR since April 21. On April 4, Wildlife Services investigated a dead calf near Stray Horse in Arizona. The cause of death was confirmed as a wolf. 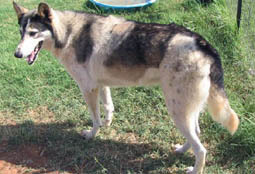 The incident was assigned to an uncollared wolf. On April 8, Wildlife Services investigated a dead calf near Stray Horse in Arizona. The cause of death was probable wolf. On April 9, Wildlife Services investigated a dead cow near the Mangas Mountains in New Mexico. The cause of death was unknown. On April 17, Wildlife Services investigated a dead calf north of Vernon Arizona. The cow was determined to have been killed by a wolf. The depredation was assigned to M1249 of the Coronado Pack. On April 20, Wildlife Services investigated a dead calf north of Vernon Arizona. The cause of death was confirmed as a wolf. The depredation was assigned to M1249 of the Coronado Pack. On April 25, Wildlife Services investigated a dead cow outside the BRWRA in New Mexico. The cow was confirmed to have been killed by a wolf. 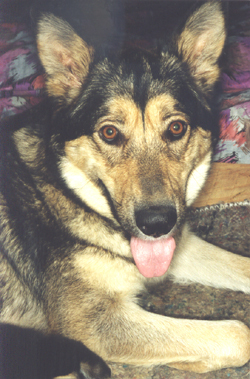 The depredation was assigned to an uncollared wolf. On April 8, Project Personnel captured M1052 and F1203 for transfer to the Universidad Autonoma de Queretaro in Mexico. On April 8, Project Personnel captured M1141 and F1188 for transfer to the UMA La Mesa facility in Mexico. On April 9, Project Personnel captured M1249 and F1126. Annual exams were performed as well as annual vaccinations administered. Both wolves were transferred to the IFT for release. On April 9, Project Personnel performed a veterinary check on M1274 and F1222. On April 10, a presentation was given by the IFT to the Central Arizona Community College students. On April 20, a trapping demonstration was given by the IFT at the Junior Turkey Camp in unit 1. In April, Charlotte Catalano joined the project as a USFWS volunteer. At the end of April Quinn Harrison left the project. Thanks for all your hard work, Quinn! The USFWS is offering a reward of up to $10,000; the AGFD Operation Game Thief is offering a reward of up to $1,000; and the NMDGF is offering a reward of up to $1,000 for information leading to the conviction of the individual(s) responsible for the shooting dead of Mexican wolves. A variety of non-governmental organizations and private individuals have pledged an additional $46,000 for a total reward amount of up to $58,000, depending on the information provided. Individuals with information they believe may be helpful are urged to call one of the following agencies: USFWS special agents in Mesa, Arizona, at (480) 967-7900, in Alpine, Arizona, at (928) 339-4232, or in Albuquerque, New Mexico, at (505) 346-7828; the WMAT at (928) 338-1023 or (928) 338-4385; AGFD Operation Game Thief at (800) 352-0700; or NMDGF Operation Game Thief at(800) 432-4263. Killing a Mexican wolf is a violation of the Federal Endangered Species Act and can result in criminal penalties of up to $50,000, and/or not more than one year in jail, and/or a civil penalty of up to $25,000. There has been a guarded welcome of a decision by the ZANU PF politburo to rescind all offer letters, granted to top party and army officials, for land in the Save Valley Conservancy. A politburo meeting chaired by Robert Mugabe on Monday also resolved to remove all beneficiaries of the wildlife-based land grab from properties that were meant to be protected under Bilateral Investment Promotion and Protection Agreements (BIPPAs). This reportedly includes the Sango, Sabi, Chishakwe, Masapasi, Makore, Gunundwe and Chamurwe ranches. Other conservancy land gazetted by the state for takeover will now come under the ownership of the National Parks authority. During the Monday meeting Mugabe criticised what he called “double dipping” by his officials, who already benefitted during ZANU PF’s commercial farm grab campaign. Party spokesperson Rugare Gumbo reportedly confirmed that this was the politburo position too. “The issue was if you did not yet have a farm, then government will give you one elsewhere and not in Save Valley. Most of them are multiple land owners which is what the politburo said should not happen. That was the decision, and their removal must be expedited as per the politburo (resolution),” Gumbo said. National Parks in 2012 issued hunting permits to 25 so-called indigenous `farmers’ who were given land in the Conservancy under the government’s `Wildlife Best Land Reform Policy’. This was in spite of a damning parliamentary report in 2012, which said that the forced seizure of Save land by top political and military figures with “no interest (or) experience in wildlife conservation” had resulted in massive destruction there. The officials who benefitted included war vets leader Joseph Chinotimba, Major General Gibson Mashingaidze, Major General Engelbert Rugeje, Masvingo Governor Titus Maluleke, then ZANU PF Masvingo provincial chair Lovemore Matuke, then Deputy Health Minister Douglas Mombeshora, ZANU PF’s central committee member Enock Porusingazi, as well as ZANU PF MPs Alois Baloyi, Abraham Sithole, Samson Mukanduri and Noel Mandebvu. “The politburo made a decision to remove all those that had been allocated leases in Save Valley. It does not matter whether you are a politburo member or not, all beneficiaries were ordered out of that place,” Gumbo said. We believe the decision is “overdue,” because local Zimbabweans have not benefited since top chefs took over the Save land. The owners of the conservancies originally came up with an idea that the rural folk would become shareholders, but the big boys didn’t like it and they took over. Now that is being withdrawn and it’s about time. They need to be held accountable for the greed and corruption going on. The previously gazetted land, now set to be handed over to National Parks, should instead be given back to the original land owners. We don’t believe that Parks will be able to do a good job. They should leave the land with the actual owners. They are the best conservationists; they employ professional people to make things work. At the moment National Parks can’t even pay their employees. So it’s doomed to fail. He also added that the planned `indigenisation’ of conservancy land owned by white Zimbabweans would have a negative impact on Save Valley. Former Indigenisation Minister Saviour Kasukuwere has said that only white Zimbabweans will be required to comply with ZANU PF’s indigenisation laws in the Conservancy. This is despite the fact that the indigenisation policy was originally meant to only target foreign owned investments in Zimbabwe. “Foreign-owned properties will not be affected as they are protected under investment laws, but those [properties] of local whites will be, “Kasukuwere said. This doesn’t make any sense. They have to come up with a definite ruling (on indigenisation) because we need the foreign investment. by Kenesias Dambakurima, in collaboration with March for Elephants and For Elephants Int. On May 16th The Herald, a media outlet favoured by the Government in Zimbabwe published a news story, ‘Conservationists launch Presidential Elephants petition’ speaking to the petition ‘Save the Presidential Elephants Now’ [*<-linked to petition] raised by Kenesias Dambakurima of Chiwundura Constituency, Zimbabwe, March for Elephants and For Elephants International, calling on the Ministers for Land and Tourism to immediately evict the occupiers of the land known as Kanondo adjacent to Hwange National Park Main Camp. Despite both Ministers, Hon Douglas Mombeshora who is the Minister for Lands and Rural Resettlement and the Hon Walter Mzembi, the Minister for Tourism and Hospitality Industry, being members of the Cabinet, and party to the Cabinet Decision of 3 December 2013 which revoked the Letter of Offer of the land to Elisabeth Freeman, Mr Mbezi has chosen to state publicly that this is a Politburo matter. The Cabinet Ministers; including the Hon Saviour Kasukuwere, who is Minister of Environment and Wildlife, and is also named in the petition, are also members of the Politburo. This begs the questions if the Ministers will enforce their own directive? Could it be that the occupiers of the land are well connected and therefore being granted favour despite what is essentially a binding notice of eviction by the issuance of the Cabinet Directive of 3 December 2013? In the Herald article the Ministers appeared to play politics by passing the buck from one to the other, ultimately saying that the Politburo must make the decision. Ms Freeman, the occupier of the land, is also known as Elisabeth Pasalk. Ms Freeman is the daughter of the late politician Isabel Shanangurai Madangure. Ms Freeman is the sister of a hunter from the nearby Matetsi sport-hunting area. There are ongoing fears of this claimant bringing underhanded and unethical hunting activities into this important land area, heightened by her demand that this area now be closed off to others. In the article in the Herald, Minister Mombeshora invited the conservationists and concerned citizens to “come in person and tell us or write to me or the permanent secretary.” The petition letter is being prepared with the current 3700+ signatures gathered to date to be presented by fax and post to the Ministers, the Cabinet and the Politburo, so there can be no doubt that the matter has been formally raised with the responsible parties. The conservationists will appeal to the Ministers for a formal meeting in person with the relevant officials to discuss the issue. Kenesias Dambakurima, the initiator of the petition, stated “We have the Ministers attention, we will submit the petition and letter to the Ministers as invited.” He said “We are hopeful the Ministers will fulfill their duty and the legal requirements of the Cabinet Directive forthwith”. “It is of deep concern that Ms Freeman has stopped the formal monitoring, recording and patrol efforts of a conservationist who had been dedicated to this work for the past 13 years. The authorities must ensure that all Presidential Elephant areas are open to this important work, which is crucial to knowing the ongoing status of this flagship herd across all land areas.” Damakurima said. Read also the numerous comments on this post. Hon Walter Mzembi Minister for Tourism and Hospitality Industry. Zimbabwe, The Hon Saviour Kasukuwere, Minister for Environment, Government of Zimbabwe. Further to the invitation by the Hon Walter Mzembi Minister for Tourism and Hospitality Industry in the Herald article published 16 May 2014 to write to his offices and engage with the Permanent Secretaries, Ministers and Politburo, we as conservationists and concerned citizens present to you our petition titled ‘Save the Presidential Elephants Now’. The land grab that has recently taken place in Kanondo area is illegal and a threat to the future of the Presidential Elephants herd. We, the undersigned, contend that the herd of elephants known as the Presidential Elephants by Decree of the President the Hon Robert Mugabe in 1990 and reiterated in 2011 are an important part of Zimbabwe’s international reputation as a premiere wildlife tourism destination. We contend that the safety of the Presidential Elephants is a very important issue to Zimbabwe. The Kanondo area’s existing photographic safari operators and the Presidential Herd Conservation Project have protected the elephants by their presence and active conservation activities. Since the occupation by Elisabeth Freeman (aka Elisabeth Pasalk) and her cohorts the land, they have named “Gwango Conservancy” has been advertised as a safari destination. The land has been closed to many of the eco-tourism operators and the Presidential Elephant Conservation Project, this denial of access puts the Presidential Elephants and their protected conservation status at risk. It is of concern that the people claiming this land have connections to other Zimbabwean nationals who are connected to hunting operations. Whilst we do not know that hunting has or will take place on the ‘Gwango Conservancy’, the concern for the wellbeing of the Presidential Elephants and other wildlife in this area is obvious. Our community has contacted the Hon Minister for Environment Saviour Kasukwere with urgency in March and April 2014 in regards to this matter and no response or action has been forthcoming. We seek your assistance as the Hon Ministers of the portfolios responsible for this issue – Lands and Rural Resettlement, and Tourism and Hospitality Industry. You are in a position to take action to address this issue in parliament and immediately enforce the Cabinet Directive of December 2013 and evict the occupiers and any staff/cohorts from the land subject to that order on the Kanondo conservation area (State land) adjacent to the Hwange NP. Your ministries will be judged on your ability to respond to this request. The eyes of the world are watching! Obviously it is time that action is taken to the Government. This petition and all undersigned urge you to do the right thing. 1) Take action to enforce the Cabinet Directive 2013 and evict the illegal occupiers, with all urgency to ensure the safety of the Presidential Herd and the environment of the Kanondo area. 2) Prosecute the illegal occupiers, to the full extent of the law, to ensure that all people know that individuals cannot just ‘take over’ State Land and ignore sensitive environmental and conservations status for their own gain. Thank you Hon Ministers, we are counting on you, the future of this iconic Presidential Elephant Herd and their habitat is in your hands. Kenesias Dambakurima and *3700+ Zimbabwean & world citizens. The Signatories at petition, will be sent to your offices forthwith. Almost everybody heard about the large wildfire near the edge of the Kenai Peninsula that has burned down 192,800 acres of land in late May of 2014. A terrible fire that also has cost many animals in this region their lives because they could not escape the smoke and flames and heat. But, as one says, miracles happen every day, and so the fire fighters who risked their lives to extinguish the fire also became the life savers of a litter of wolf cubs, still in their den and with no hope of survival. The yipping of a lone cub reached the ears of busy fire fighters. They found the sorry caller in front of a den, and after briefly discussing the situation, chose the smallest of their crew to crawl down into the narrow tunnel where he found another four cubs; there was a sixth cub, but it had been attacked so fiercely by a North American porcupine that must have crawled down into the den to look for protection, that it had already died. The rescued cubs were just two weeks old. After their rescue, the wolf cubs were taken to the Alaska Zoo’s veterinary clinic, where they are now getting antibiotics as well as plenty of food and sleep. A biologist made the decision to raise the cubs at the zoo because it’s very likely that the parents abandoned the den due to the wildfire. Photos published by the wildlife refuge show how medics are plucking quills off the cubs outside their den and giving them sugar water to rehydrate them. The zoo’s development director, Jill Myer, said that the cubs are fine and busy doing the things normal cubs also do. A big Thank-You to the big-hearted members of the fire fighting crew for saving these young wolf cubs from certain death. He rises from his long slumber. Much time has passed since he has walked in her light but a voice he remembers from a time ago is like a song to his ears and has awoken him from his deep sleep. Although it has been many years he can still recall the short time they were together and it saddens his heart that he slept so long and almost forgot the spirit inside of him but he does not weep for he is also glad to be awake once more. As he emerges from where he has slept and stretches his tired muscles his senses become sharper and he greets the coming evening with a renewed energy and sees again with his eyes the world before him. He begins to move through the wild and a hunger starts in his belly for it has been a long time since he has enjoyed her company and knows only one way to satisfy his growing hunger. Once more the hunter inside him arises. As his journey begins he stops by a pool of water to quench his thirst. While he is drinking he looks at his reflection and contemplates what he sees. Although he is older his heart is still young and in his eyes you can still see the glint of the youth that wants to play and run through the country without a care in the world. But you can also see the elder who has gained the wisdom that comes with age and is more careful as he travels in this life. As he moves on his mind returns to his ever growing hunger and he must begin his hunt. He travels on and soon comes to the top of a tall mountain and he searches for a sign to show him the way but as he looks out over the land he sees nothing to help him in his quest. Above him as the clouds move in the night sky he sees what he is searching for. Although she is far away he has travelled far before and as the sky clears and the stars emerge she shines brightly like a beacon in the night and he walks in her light once more. The light of the Bright Moon. And the White Wolf howls. The White Wolf howls but there is no moon. No longer does he yearn for the sight of her brightness in the night sky for its hold on him is no longer as strong as it once was. He has found a new reason to lift his voice to the night. 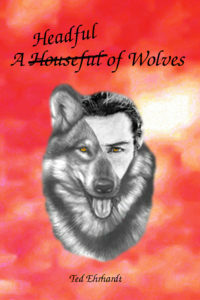 His howls now echo with a new song in his heart. In his voice a song of a new found friend now fills the woods. Although he travels alone most times and draws strength from his independence the chance meeting of kindred spirit has elated his soul. Seldom in his travels does he meet another who understands his ways and has travelled along the same roads in life that he has journeyed over. The ways of the wolf are strange to most but inside of her he sees that she also shares some of the same spirit he has in her own ways and is attracted to her because of it. As they get to know each other better he sees in her a jumble of mixed emotions and knows that her mind and soul are troubled and wants to help her sprit mend. He listens as she tells him of the obstacles that block her happiness. He hears her spirit yearn for a simpler life. A life without problems brought about by others who want to bring her down and it saddens his heart to feel all the sadness in her life that she does not deserve to have. He also listens as she tells him of good things in her life and sees how her eyes light up when she speaks of her son. He feels the emotions of a proud mother come out of her and knows that his young spirit gives her strength in times of need. He can also see within her the beautiful spirit that is the true soul within her and knows she deserves so much more happiness in her life and wants to help her find it. As he rests and thinks to himself how he can help mend her broken spirit and bring more light to her soul his senses remind him to be careful. In the past his willingness to help others has hurt him and he has learned to stay cautious and guard his feelings well. While he contemplates his new friends dilemma he also senses more from her soul and it confuses him. But it also intrigues his senses for he knows the future with this new friend can be a new adventure and he decides that he will take on this task because if he can help to brighten her spirit it will also strengthen his own spirit and be good for them both and that makes him glad. Once again the White Wolf howls. There isn’t much to report this month; all pack members are well, there have been no further break-in attempts into the greenhouse, and Kajack II has also stopped his fence-climbing activities thanks to the new wooden fence. Both have slowed down a bit in growing and putting on weight, they now eat a little slower and leave the other’s food bowls alone so that they can also have their meals in peace. Ascar II has taken on the duty of protecting the pack from whoever he thinks are intruders; when he is not busy playing with Kajack II and Taima, he will be on watch duty, giving a short warning bark as soon as he discovers somebody outside the gate. This will then be the signal for Kajack II and Taima to run into the house, hide behind the living room door, and peak around the corner into the passage to see from a safe distance what’s going on. Aqua will then slowly walk to the front, position himself next to Ascar and watch him doing his job, apparently quite satisfied with Ascar’s work most of the time. Today it’s very windy outside because of an approaching cold front, and all of them have cuddled up somewhere inside the house where they are protected from the wind. They only go out once in a while to patrol the property or when they hear something going on outside. They are like Ted and me, not liking this kind of wind that blows sand and dust into your eyes all the time. I just hope that the wind will calm down till Friday when we will start building a new orchidarium; working with long roof sheets is no fun in gusty weather, and since Kajack II and Ascar II are always eager to “help” with whatever work we do outside, it will be a mission anyway, no matter what the weather will be like. I am sure I will have something to report on this adventure next month.